Improving the safety of heavy vehicles – What is the problem? In 2008, crashes involving heavy vehicles (HVs) accounted for 18% of road deaths and 9% of total injuries. This equates to 65 deaths, 258 serious injuries and 1,144 minor injuries. About 80% of people killed in heavy vehicle-related crashes are other road users. What has Safe Journeys improved for drivers of Heavy Vehicles (HVs) in New Zealand? 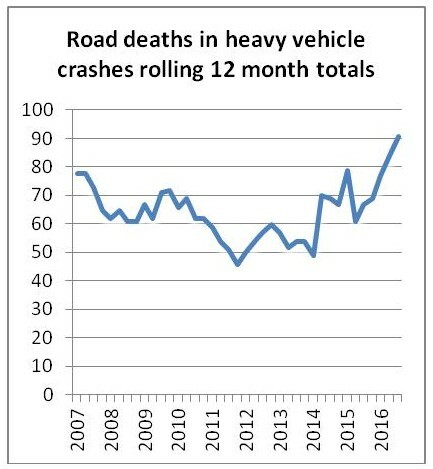 In 2017 HVs have been involved in 91 deaths (rolling 12 month) of 332 annual road fatalities: 27% of road deaths. Benchmark this against the 2016 German crash facts. 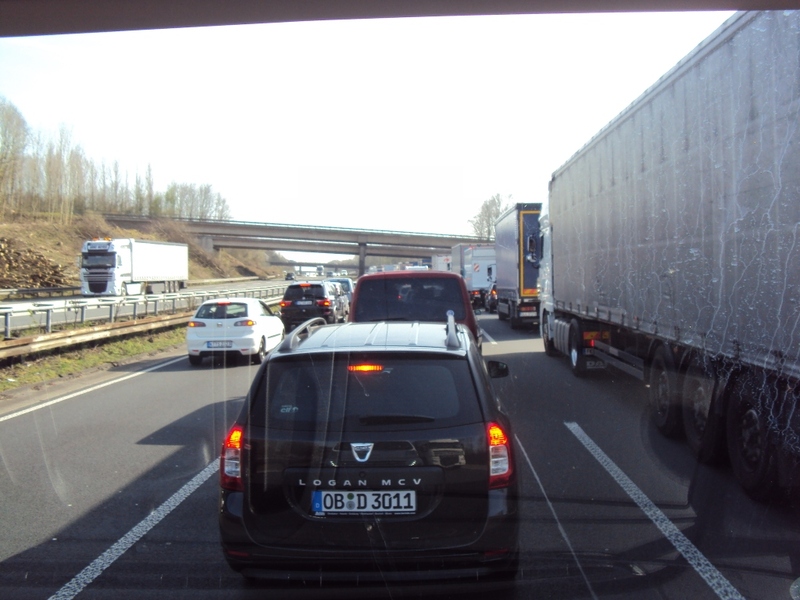 German drivers of HVs suffered 137 deaths out of 3,155 persons killed on German traffic: 4.3% of road deaths. There are a lot of trucks on German Autobahns, but there also helpful safety rules. The Autobahn has an advisory speed limit of 130 km/h. While going faster is not illegal, in the case of an accident, the driver is deemed at least partially responsible due to “increased operating danger”. Vehicles with a top speed of less than 60 km/h are not allowed to use the autobahn. 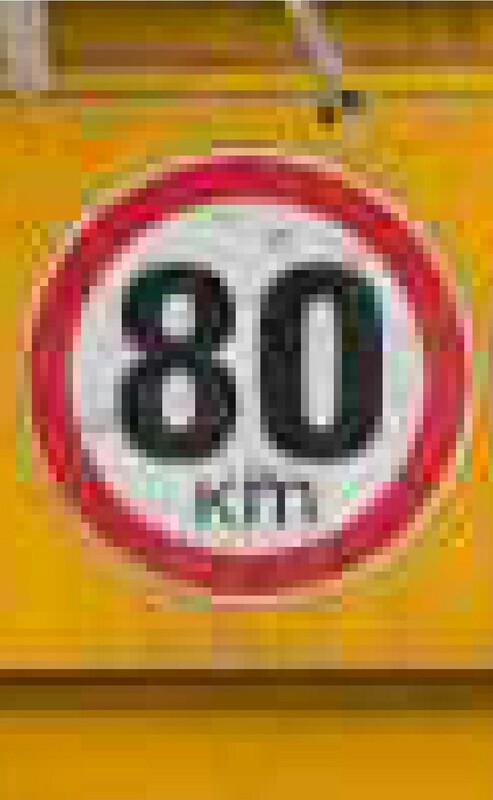 Countries where the maximum speed is 80 km/h for ‘Single carriageway’: China, Demark, Finland (winter), France (rain), India, Japan, South Korea, Taiwan. Countries where the maximum speed for trucks is 80km/h or less: Argentina, Brazil, Czech Republic, Denmark, Finland, Germany, Greece, Hungary, Israel, Italy, Japan, Malaysia, Netherlands, Norway, Peru, Philippines, Poland, Portugal, Singapore, Saudi Arabia, South Africa, South Korea, Spain, Sweden, Taiwan, Thailand, Turkey. To repeat: for truck drivers, an 80 km/h speed limit has the potential to save at least 20 to 32 lives per year. Speeding is a critical issue in reducing roadway deaths. 30% of fatal crashes are caused by excessive speeds. In urban areas, reducing speeds by even 5mph can have enormous safety benefits.